I started this thinking I didn't have much to share with you this month but actually know I've looked back I read loads of awesome things from the library this month. This book is so beautiful. 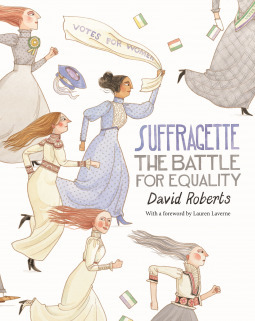 Followers of my blog will know I can't get enough suffragette stuff at the moment and this is one of my favourites. It's obviously aimed at a young audience which I'm more than up for as it is perfect for my classroom. The text is set against some beautiful pictures and it's just an utter joy to read. 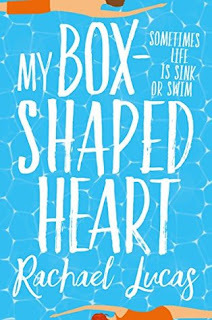 My Box-Shaped Heart is a powerful story of an unlikely friendship from Rachael Lucas, author of The State of Grace. Holly's mum is a hoarder, and she is fed up with being picked on at school for being weird . . . and having the wrong clothes . . . and sticking out. All she wants is to be invisible. She loves swimming, because in the water everyone is the same. Ed goes to the swimming pool to escape the horrible house he and his mum have been assigned by the women's refuge. In his old life he had money; was on the swim team; knew who he was and what he wanted. In his old life his dad hit his mum. Holly is swimming in one direction and Ed's swimming in the other. As their worlds collide they find a window into each other's lives - and learn how to meet in the middle. Another lovely read this month. It's thoughtful and really sweet and just really well done. 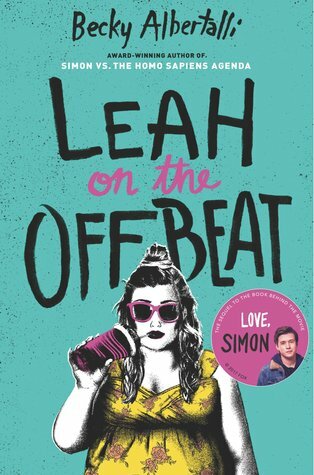 It features a young working class girl as they main character who is trying hard to be in a world set against her as she's struggling with coping with her mum's mental health issues and the day to day worries that leaves her with including money struggles. YA novels all too often feature characters where money is no object which is so unrealistic for many readers and I liked that this story had that as a feature. What if you met the right person at the wrong time? Nell and Van meet as children when their parents fall in love, but soon they are forced worlds apart. Five years later, they find each other. Their bond is rekindled and new feelings take hold, but once again they must separate. 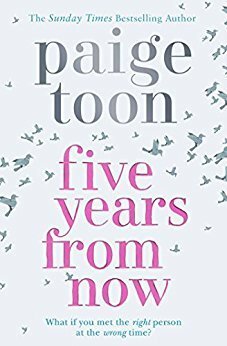 For the next two decades, fate brings Nell and Van together every five years, as life and circumstance continue to divide them. Will they ever find true happiness? And will it be together? 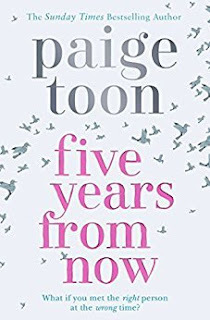 I love a Paige Toon book. I always do and don't get me wrong I did very much enjoy this book. I was hooked all the way through and didn't want to put it down. The last line or two I did not like. At all. London, 1940. Emmeline Lake is Doing Her Bit for the war effort, volunteering as a telephone operator with the Auxiliary Fire Services. When Emmy sees an advertisement for a job at the London Evening Chronicle, her dreams of becoming a Lady War Correspondent suddenly seem achievable. 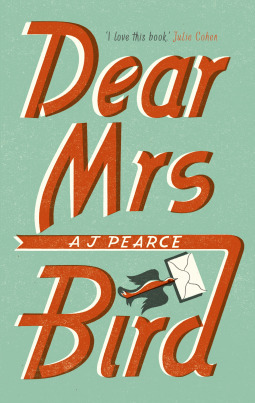 But the job turns out to be working as a typist for the fierce and renowned advice columnist, Henrietta Bird. Emmy is disappointed, but gamely bucks up and buckles down. Mrs. Bird is very clear: letters containing any Unpleasantness must go straight in the bin. But when Emmy reads poignant notes from women who may have Gone Too Far with the wrong men, or who can’t bear to let their children be evacuated, she is unable to resist responding. As the German planes make their nightly raids, and London picks up the smoldering pieces each morning, Emmy secretly begins to write back to the readers who have poured out their troubles. Prepare to fall head over heels for Emmy and her best friend, Bunty, who are gutsy and spirited, even in the face of a terrible blow. The irrepressible Emmy keeps writing letters in this hilarious and enormously moving tale of friendship, the kindness of strangers, and ordinary people in extraordinary times. I loved this book. It was just a me sort of book. Set in World War Two. Lovely main character. Funny and emotive all the way through and really thoughtful. I thought it was really well done and would happily read more if a series appeared. Another book I loved. I loved that the main character was fat and owned it. So often fat girls are portrayed in books as miserable and unhappy beings who only get what they want when they transform and lose weight. Leah's having none of that. I loved that she worked. I loved that she had no ideas what she wanted to do with her life at 18. Such a positive and lovely read.